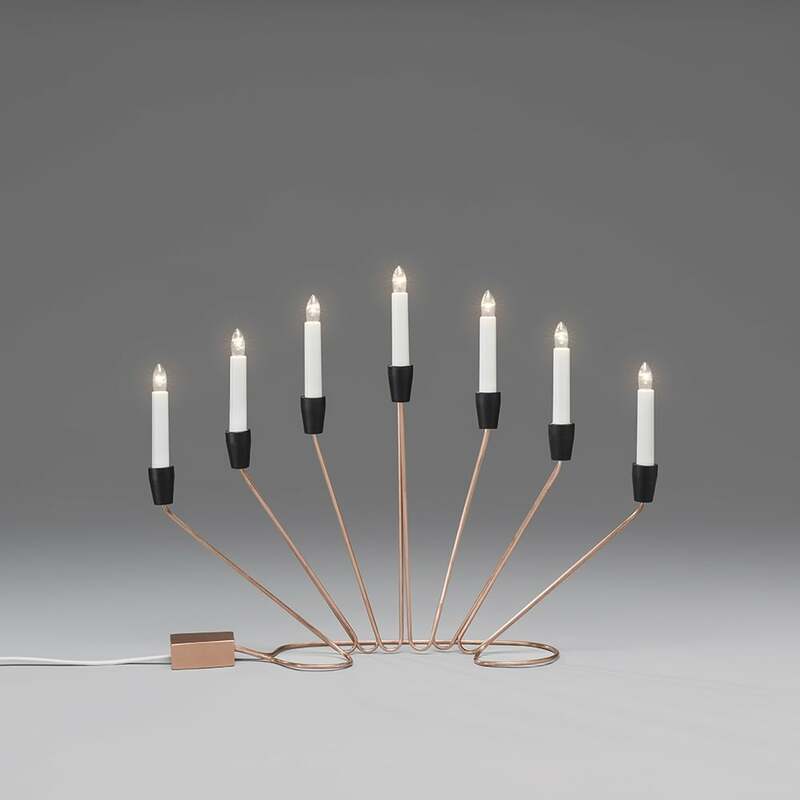 Konstsmide 7 light metal candlestick in a copper finish features a unique curvaceous base with black scones holding seven candles. This modern design candlestick would be a perfect way of illuminating your windowsills or tables this festive season and at anytime during the year for dinner parties etc. A contemporary style centerpiece which will provide a warming glow this Christmas whilst its dark and cold outside. Also available in a brass finish which can be ordered via our website using product code: 3545-600.